Enjoy a Summer Movie in the Park! Grab your lawn chair or picnic blanket and enjoy the show! 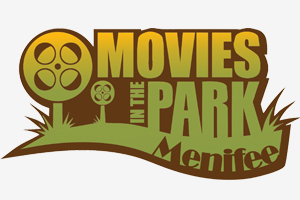 The city of Menifee is hosting family-friendly Movies in the Park 2016, where you can watch Star Wars on June 18th and The Sandlot on June 25th! These special events will feature themes related to the movie title, costume contests, themed snacks, games and food vendors. Grab your friends and family and enjoy the show! 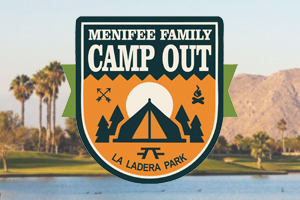 Celebrate Dad at the Menifee Family Camp Out! The Menifee Family Camp Out is the perfect way to celebrate Father’s Day! From June 11th at 3:00 until June 12th at noon, the family can experience the fun and festivities of a traditional camp out. Activities will include a Saturday night dinner and Moonlight Movie, activities & picnic games, crafts, nighttime campfire with s’mores, and Sunday breakfast at La Ladera Park. It’s going to be a great time for all, so sign on May 1st when registration opens.